The main awards fall into six categories: Fiction, Nonfiction, Poetry, Memoir/Autobiography, Biography, and Criticism. 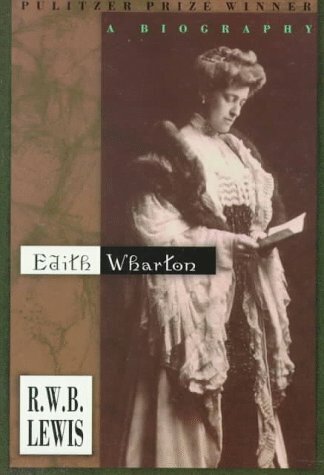 Awards are not given to titles that have been previously published in English, such as re-issues and paperback editions. They also do not "consider cookbooks, self help books (including inspirational literature), reference books, picture books or children's books." Titles are, however, eligible to be awarded if they are "translations, short story and essay collections, self published books, and any titles that fall under the general categories above." The NBCC membership elects a 24 person all volunteer Board of Directors to nominate and judge books for the awards and guide all day-to-day activities. In this true story of an epic courtroom showdown, two of the nation's largest corporations stand accused of causing the deaths of children. Representing the bereaved parents, the unlikeliest of heroes emerges: a young, flamboyant Porsche-driving lawyer who hopes to win millions of dollars and ends up nearly losing everything, including his sanity. 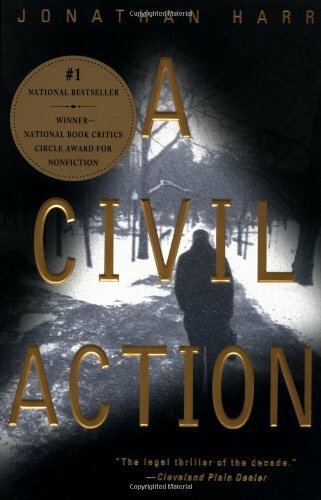 A searing, compelling tale of a legal system gone awry--one in which greed and power fight an unending struggle against justice--A Civil Action is also the story of how one determined man can ultimately make a difference. With an unstoppable narrative power, it is an unforgettable reading experience. Bennie is an aging former punk rocker and record executive.Sasha isthe passionate, troubled young woman he employs. 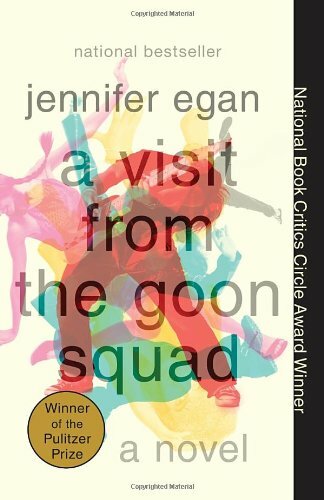 Here Jennifer Egan brilliantly reveals their pasts, along with the inner lives of a host of other characters whose paths intersect with theirs. With music pulsing on every page, A Visit from the Goon Squad is astartling, exhilarating novel of self-destruction and redemption. J. Robert Oppenheimer is one of the iconic figures of the twentieth century, a brilliant physicist who led the effort to build the atomic bomb for his country in a time of war, and who later found himself confronting the moral consequences of scientific progress. In this magisterial, acclaimed biography twenty-five years in the making, Kai Bird and Martin Sherwin capture Oppenheimers life and times, from his early career to his central role in the Cold War. This is biography and history at its finest, riveting and deeply informative. 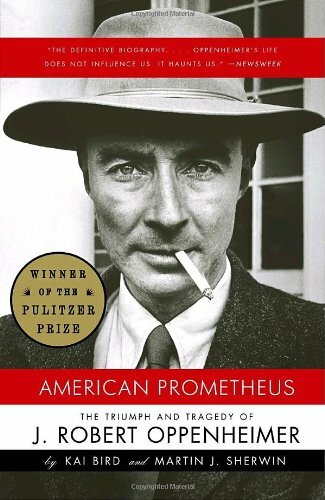 In American Prometheus, Kai Bird and Martin J. Sherwin delve deep into J. Robert Oppenheimer's life and deliver a thorough and devastatingly sad biography of the man whose very name has come to represent the culmination of 20th century physics and the irrevocable soiling of science by governments eager to exploit its products. Rich in historical detail and personal narratives, the book paints a picture of Oppenheimer as both a controlling force and victim of the mechanisms of power. By the time the story reaches Oppenheimer's fateful Manhattan Project work, readers have been swept along much as the project's young physicists were by fate and enormous pressure. 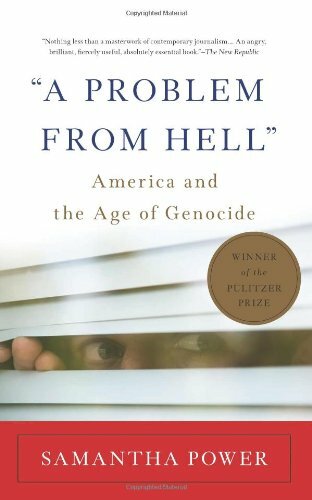 The authors allow the scientists to speak for themselves about their reactions to the Hiroshima and Nagasaki bombings, avoiding any sort of preacherly tone while revealing the utter, horrible ambiguity of the situation. For instance, Oppenheimer wrote in a letter to a friend, "The thing had to be done," then, "Circumstances are heavy with misgiving." Many biographies of Oppenheimer end here, with the seeds of his later pacifism sown and the dangers of mixing science with politics clearly outlined. But Bird and Sherwin devote the second half of this hefty book to what happened to Oppenheimer after the bomb. For a short time, he was lionized as the ultimate patriot by a victorious nation, but things soured as the Cold War crept forward and anti-communist witchhunts focused paranoia and anti-Semitism onto Oppenheimer, destroying his career and disillusioning him about his life's work. Devastated by the atom bomb's legacy of fear, he became a vocal and passionate opponent of the Strangelovian madness that gripped the world because of the weapons he helped develop. An Irish-American writer recalls his childhood amid the miseries of Limerick; originally published in 1996. Opting-out, security moms, desperate housewives, the new baby feverthe trend stories of 2006 leave no doubt that American women are still being barraged by the same backlash messages that Susan Faludi brilliantly exposed in her 1991 bestselling book of revelations. Now, the book that reignited the feminist movement is back in a fifteenth anniversary edition, with a new preface by the author that brings backlash consciousness up to date. When it was first published, Backlash made headlines for puncturing such favorite media myths as the infertility epidemic and the man shortage, myths that defied statistical realities. These willfully fictitious media campaigns added up to an antifeminist backlash. Whatever progress feminism has recently made, Faludis words today seem prophetic. The media still love stories about stay-at-home moms and the dangers of womens career ambitions; the glass ceiling is still low; women are still punished for wanting to succeed; basic reproductive rights are still hanging by a thread. The backlash clearly exists. A Pulitzer Prize-winning reporter for The Wall Street Journal, Faludi lays out a two-fold thesis in this aggressive work: First, despite the opinions of pop-psychologists and the mainstream media, career-minded women are generally not husband-starved loners on the verge of nervous breakdowns. Secondly, such beliefs are nothing more than anti-feminist propaganda pumped out by conservative research organizations with clear-cut ulterior motives. This backlash against the women's movement, she writes, "stands the truth boldly on its head and proclaims that the very steps that have elevated women's positions have actually led to their downfall." 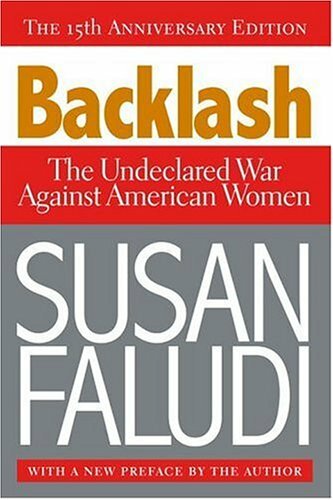 Meticulously researched, Faludi's contribution to this tumultuous debate is monumental and it earned the 1991 National Book Critics Circle Award for General Nonfiction. In 1909 maps still identified eastern Montana as the Great American Desert.But in that year Congress, lobbied heavily by railroad companies, offered 320-acre tracts of land to anyone bold or foolish enough to stake a claim to them. Drawn by shamelessly inventive brochures, countless homesteaders--many of them immigrants--went west to make their fortunes. Most failed. In Bad Land, Jonathan Raban travels through the unforgiving country that was the scene of their dreams and undoing, and makes their story come miraculously alive. In towns named Terry, Calypso, and Ismay (which changed its name to Joe, Montana, in an effort to attract football fans), and in the landscape in between, Raban unearths a vanished episode of American history, with its own ruins, its own heroes and heroines, its own hopeful myths and bitter memories. Startlingly observed, beautifully written, this book is a contemporary classic of the American West. "Exceptional. . . .A beautifully told historical meditation. " "Championship prose. . . .In fifty years don't be surprised if Bad Land is a landmark." Jonathan Raban ambles and picks his way across the Montana prairie, called "The Great American Desert" until Congress offered 320-acre tracts of barren land to immigrants with stardust in their eyes. Raban's prose makes love to the waves of land, red dirt roads, and skeletons of homesteads that couldn't survive the Dirty Thirties. 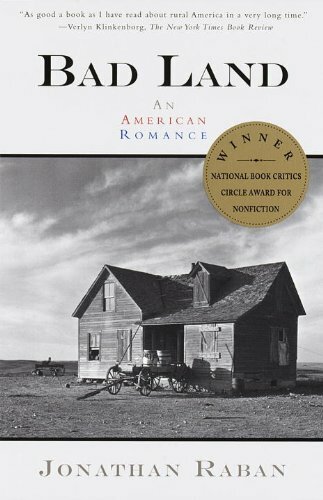 As poignant as any romance novel, there's heartbreak in the failed dreams of the homesteaders, a pang of destiny in the arbitrary way railroad towns were thrown into existence, and inspiration in the heroism of people who've fashioned lives for themselves by cobbling together homes from the ruined houses of those who couldn't make it. Through it all, Raban's voice examines and honors the vast open expanses of land and pays homage to the histories of families who eked out an existence. 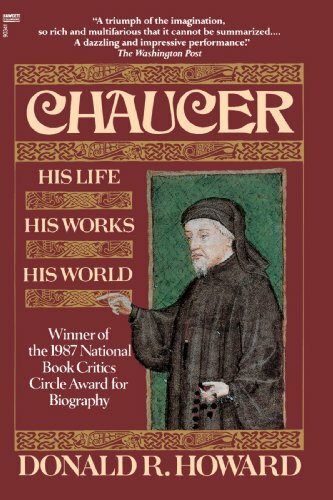 In this award-winning biography, the editor of the most popular edition of The Canterbury Tales re-creates the public, private, and poetic life and times of this extraordinary man. 16-page photo insert. John Cheever spent much of his career impersonating a perfect suburban gentleman, the better to become one of the foremost chroniclers of postwar America. 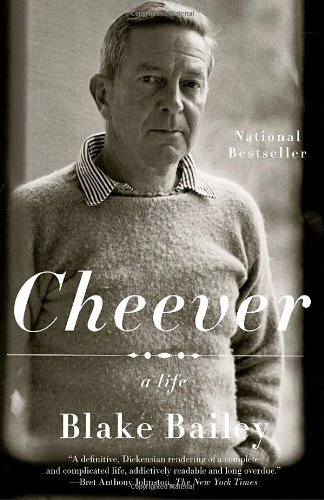 Written with unprecedented access to essential sourcesincluding Cheevers massive journal, only a fraction of which has ever been publishedBaileys Cheever is a stunning example of the biographers art and a brilliant tribute to an essential author. Ever since children have learned to read, there has been childrens literature. 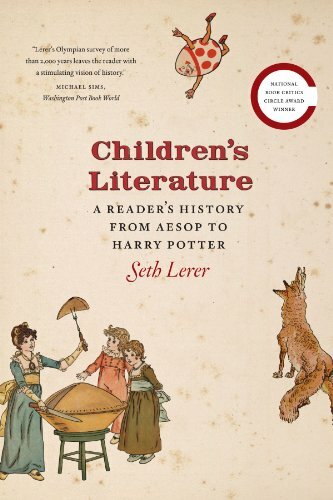 Childrens Literature charts the makings of the Western literary imagination from Aesops fables to Mother Goose, from Alice's Adventures in Wonderland to Peter Pan, from Where the Wild Things Are to Harry Potter. The only single-volume work to capture the rich and diverse history of childrens literature in its full panorama, this extraordinary book reveals why J. R. R. Tolkien, Dr. Seuss, Laura Ingalls Wilder, Beatrix Potter, and many others, despite their divergent styles and subject matter, have all resonated with generations of readers. Childrens Literature is an exhilarating quest across centuries, continents, and genres to discover how, and why, we first fall in love with the written word. Winner of 3 different awards, this is a story of the busing crisis in Boston. 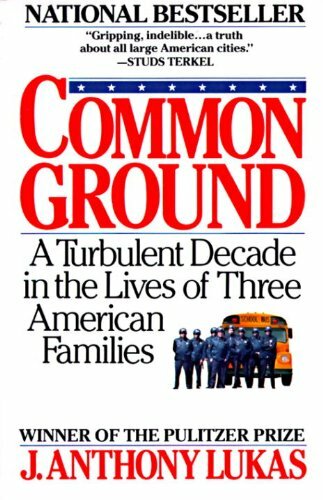 The climax of this humane account of 10 years in Boston that began with news of Martin Luther King's assassination, is a watershed moment in the city's modern history--the 1974 racist riots that followed the court-ordered busing of kids to integrate the schools. To bring understanding to that moment, Lukas, a former New York Times journalist, focuses on two working-class families, headed by an Irish-American widow and an African-American mother, and on the middle-class family of a white liberal couple. Lukas goes beyond stereotypes, carefully grounding each perspective in its historical roots, whether in the antebellum South, or famine-era Ireland. In the background is the cast of public figures--including Judge Garrity, Mayor White, and Cardinal Cushing--with cameo roles in this disturbing history that won the 1986 Pulitzer Prize for nonfiction. Day By Day is Yolanda Adams' truest testimonial of perseverance and faith to date. Inspirational messages, mixed with melody and praise, this album promises to be a record you will treasure. From 'Alwaysness' and 'Be Blessed', both produced by Jimmy Jam & Terry Lewis, to title track 'Day By Day', Yolanda takes you through a journey of life. Atlantic. 2005. Willem de Kooning is one of the most important artists of the twentieth century, a true painters painter whose protean work continues to inspire many artists. In the thirties and forties, along with Arshile Gorky and Jackson Pollock, he became a key figure in the revolutionary American movement of abstract expressionism. Of all the painters in that group, he worked the longest and was the most prolific, creating powerful, startling images well into the 1980s. 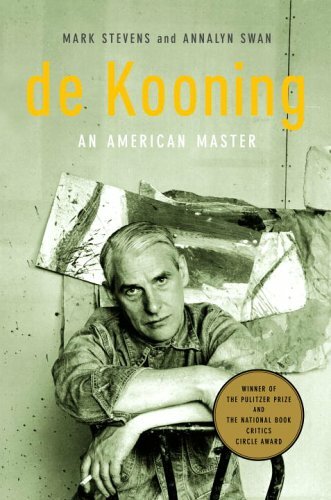 The first major biography of de Kooning captures both the life and work of this complex, romantic figure in American culture. Ten years in the making, and based on previously unseen letters and documents as well as on hundreds of interviews, this is a fresh, richly detailed, and masterful portrait. The young de Kooning overcame an unstable, impoverished, and often violent early family life to enter the Academie in Rotterdam, where he learned both classic art and guild techniques. Arriving in New York as a stowaway from Holland in 1926, he underwent a long struggle to become a painter and an American, developing a passionate friendship with his fellow immigrant Arshile Gorky, who was both a mentor and an inspiration. During the Depression, de Kooning emerged as a central figure in the bohemian world of downtown New York, surviving by doing commercial work and painting murals for the WPA. His first show at the Egan Gallery in 1948 was a revelation. Soon, the critics Harold Rosenberg and Thomas Hess were championing his work, and de Kooning took his place as the charismatic leader of the New York schooljust as American art began to dominate the international scene. Dashingly handsome and treated like a movie star on the streets of downtown New York, de Kooning had a tumultuous marriage to Elaine de Kooning, herself a fascinating character of the period. At the height of his fame, he spent his days painting powerful abstractions and intense, disturbing pictures of the female figureand his nights living on the edge, drinking, womanizing, and talking at the Cedar bar with such friends as Franz Kline and Frank OHara. By the 1960s, exhausted by the feverish art world, he retreated to the Springs on Long Island, where he painted an extraordinary series of lush pastorals. In the 1980s, as he slowly declined into what was almost certainly Alzheimers, he created a vast body of haunting and ethereal late work. Gossipier than any tabloid, as scholarly as Vasari, luminously illustrated and illuminating as a lightning bolt, Stevens' and Swan's landmark biography is one of the most stunning art books I've seen in seven years of Amazon.com reviewing--a masterpiece that explains how the Dutchman de Kooning became the master painter of the American century. It's a page-turning tale: raised by a mom who beat him with wooden shoes, de Kooning escaped Rotterdam as a stowaway on a freighter and found a second family in New York's rampageous art bohemia. He subsisted on ketchup and booze, and broke through around 1950 with dazzling abstract expressionist canvases inspired by what was in the air: cubism, surrealism, jazz, and film noir. The careerist thing to do would've been to ride the Ab Ex tsunami, but de Kooning stubbornly defied purist abstraction with the startlingly quasi-figurative Woman paintings. Stevens and Swan artfully show how much went into these notorious works. De Kooning's Woman is "part vamp, part tramp," a Hollywood pinup girl with push-up bazooms, a dirty joke and a scary goddess based on a Mexican deity to whom hearts were sacrificed. She is also part Mom and part Elaine de Kooning, his artist/muse wife, and the numberless women he juggled. The ostensible purpose of a library is to preserve the printed word. But for fifty years our countrys librariesincluding the Library of Congresshave been doing just the opposite, destroying hundreds of thousands of historic newspapers and replacing them with microfilm copies that are difficult to read, lack all the color and quality of the original paper and illustrations, and deteriorate with age. With meticulous detective work and Bakers well-known explanatory power, Double Fold reveals a secret history of microfilm lobbyists, former CIA agents, and warehouses where priceless archives are destroyed with a machine called a guillotine. Baker argues passionately for preservation, even cashing in his own retirement account to save one important archiveall twenty tons of it. 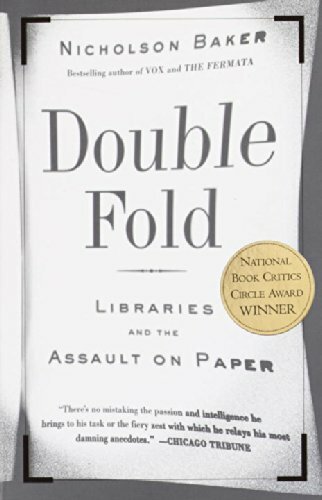 Written the brilliant narrative style that Nicholson Baker fans have come to expect, Double Fold is a persuasive and often devastating book that may turn out to be The Jungle of the American library system. This an American writer." --The New York Times Book Review.